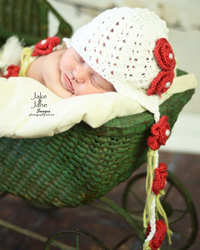 bebe’ chapeau is an exclusive line within The Daisy Baby. 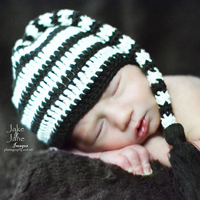 bebe’ chapeau is made exclusively from 100% mercerized cotton. We begin by selecting a superior grade of sea island cotton which is considered the cashmere of the cotton family. This superb fabric retains body heat in cold weather and absorbs perspiration in hot humid climates. Our mercerized cotton is also hypoallergenic, making it the fabric of choice for little ones with sensitive skin. Many intricate steps are involved to bring our cotton to a mercerized state. We begin by selecting the finest sea island cotton which undergoes a refining process that results in a hat that is incredibly beautiful, soft, shiny and absent of any impurities! Our hats will be passed down as family heirlooms for years to come. Superior cotton and our expert craftsmanship produce a peerless product.